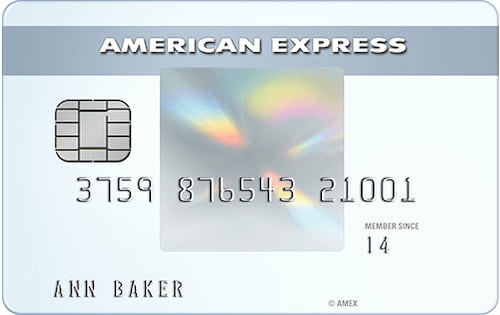 The Verdict: The Amex EveryDay® Credit Card from American Express wouldn’t be our first choice for an everyday credit card, but it is one of the best balance transfer credit cards around (American Express is a WalletHub partner). So if you have some credit card debt that you’d like to get rid of and the good or excellent credit needed for approval, you should definitely consider Amex EveryDay. Most importantly, this EveryDay Amex offers 0% intro rates on purchases and balance transfers for the first 12 months your account is open. There’s also no balance transfer fee and no annual fee. You just have to transfer your balance within 60 days of opening your account. And you’d be wise to repay what you owe before a high regular APR takes effect after 12 months. The ability to save a bundle on interest isn’t the only perk that Amex EveryDay provides. You also stand to receive a 10,000-point initial bonus and enjoy an above-average rewards structure that comes with a few qualifications. The 2 points per $1 that you’ll earn at U.S. supermarkets applies to just the first $6,000 spent each year. Otherwise, you’ll earn 1 point per $1 spent. You also need to make at least 20 purchases per month to qualify for a 20% monthly rewards bonus. Below, you can learn more about what the Amex EveryDay Credit Card will and will not add to your everyday life. 0% Intro Financing For 15 Months: Amex EveryDay® starts you out in an interest-free environment, offering 0% intro APRs on new purchases and balance transfers for the first 15 months. This can take a lot of pressure off your wallet, provided you use it responsibly. That means only financing what you can afford to repay before regular rates take effect. You can use a credit card calculator to plan the monthly payments needed to get out of dodge in time. $0 Balance Transfer Fee: This saves you more than 2.5% compared to the average balance transfer credit card and makes Amex EveryDay the complete balance-transfer package. 10,000-Points Initial Bonus: In return for spending at least $1,000 during the first three months your account is open, you will receive 10,000 bonus points. That’s redeemable for up to $100 in gift cards or travel booked through American Express.It’s not the largest or most valuable initial bonus available to people with good or excellent credit. In fact, it’s about average for the market overall. But you certainly can’t complain about having an extra $100 to spend. No Annual Fee: The higher your credit score is, the less likely you are to have to pay an annual fee on a credit card. You can obviously do so for an especially attractive rewards deal, for example. But you’ll also have lots of free options available. This, of course, includes the Amex EveryDay® Credit Card, which is $17.35 per year cheaper than the average credit card as a result. Above-Average Rewards: You will earn at least the market average for a points credit card when using Amex EveryDay®, as it provides a minimum of 1 point per $1 spent. You also get an additional point on the first $6,000 in supermarket purchases that you make each year. And you'll receive a 20% bonus on all your earnings during months that you make at least 20 purchases. Above-Average Regular APR: EveryDay’s regular APR can be anywhere from 15.24% to 26.24% (V), depending on your credit standing. Even if you get a rate at the low end of that range, it will still be above the market average for “excellent-credit” credit cards. 2.7% Foreign Transaction Fee: This is well above the market-average foreign fee of 1.50%. So if you travel abroad or make purchases from internationally based merchants, using Amex EveryDay® every day could wind up being pretty expensive. Relatively Limited Worldwide Acceptance: American Express is the world’s third-largest card network, operating in more than 130 countries. That might seem like a broad reach until you consider that Amex’s larger rivals, Visa and Mastercard, are each accepted in more than 200 countries. This figures to be a major obstacle for many frequent travelers who might otherwise make Amex EveryDay® their go-to everyday spending vehicle. Travel & Gift Cards Offer the Most Redemption Value: You have a variety of options when it comes to redeeming points earned with the EveryDay® Card, but you’ll get the most value by using your points to book travel through the American Express travel website or by redeeming them for gift cards. Amex’s so-called “Membership Rewards” points are worth 1 cent apiece when redeemed by these methods, whereas statement credits, merchandise and miscellaneous redemption options all yield significantly less. American Express offers to new customers are a scam. They sent me an offer for $200 as a credit on my account if I applied for blue cash card and spent over $1000 in first 3 months. I sent the same application that was with the offer a couple days later and spent $5200 on the card they sent in the first month. After 2 calls they still won't give credit, and say the offer had expired even though I sent it right back and there are no expiration dates on offer or terms and conditions. I'll be cancelling it and using my other card, they honor their offers. They get 0 stars from me.